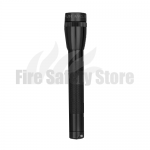 At Fire Safety Store the emergency torches includes the 2D Cell LED Maglite Torch which is well known for its reliability, durability and quality. The torch has LED technology and is built specifically for professional and consumer use. 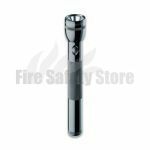 The AA Mini Maglite Torch is manufactured from aluminium making it robust and strong. The torch has an 'O' ring seal that will protect the torch from water.